At Juba 1 Girls’ Primary School, South Sudanese girls sing and dance, articulating their dreams and aspirations. “We need peace, we need peace. I want to become a doctor,” one sings, drawing a chorus response from her peers. “I want to be a pilot,” another declares in a sweet, piping voice, as she takes her turn in the lead role. And then, in a surprise move, she displays a deftly-choreographed dance routine: a mix of a Michael-Jackson moonwalk and Ghanaian Azonto, that has the audience – of mainly volunteers from the UN Mission in South Sudan (UNMISS) and the South Sudan Red Cross Society – smiling, even laughing, with admiration. “My name is Amin Yel, I’m in Standard 7,” says another. “I’ve been trained to become a First Aid Responder. I want to become a volunteer to help other people. And I want to inform those who did not join to join us, to become First Aid Responders to help other people like we are." They are among 25 girls at the school who have been trained to be First Aid Responders by the South Sudan Red Cross Society. Like Mary and Amin, Zebo Kodirova, from Tajikistan, decided she wanted to be a volunteer when she was 15 years old. Today, she is offering her voluntary service as a Supply Chain Assistant with the UN Mission in South Sudan. “I do volunteer in my country, and I do volunteer wherever I am,” she says. “So, this time it means a lot because I can share a little effort I have; skills, or even my time with the people of South Sudan, and we can put a small grain of hope for the peace of this country. So, this means a lot to me,” she concludes, with a big smile. For Philomina Ahiable, volunteering is an opportunity to help the vulnerable. “Voluntary work to me is a panacea to resolve any problem of the society,” she says unequivocally. “Without voluntary [work] it’s impossible to bring peace in the society or reduce [the effects] of all the natural disasters of calamities that we’re facing nowadays,” she declares. 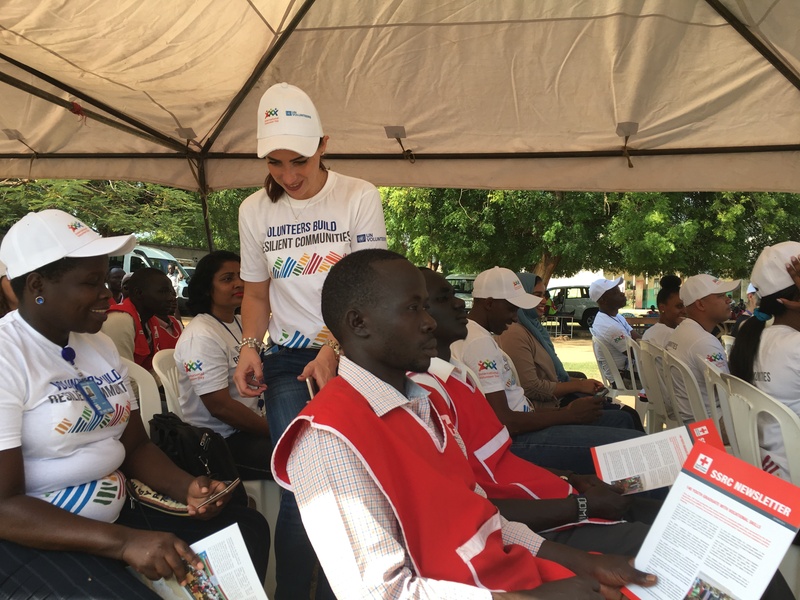 Away from Juba, UN volunteers were handing out goodies to patients at a hospital in the northern town of Bentiu. “We are very happy as patients in this hospital,” says Nyakuma Chot, a female patient. “Today we receive some blankets, mosquito nets because like at this time in Bentiu it’s a cool weather and we are happy that we received these blankets and mosquito nets as there are mosquitoes in this place,” she says, with a broad smile. This has excited Helen Tonga, a volunteer working with the UNMISS Civil Affairs Division. 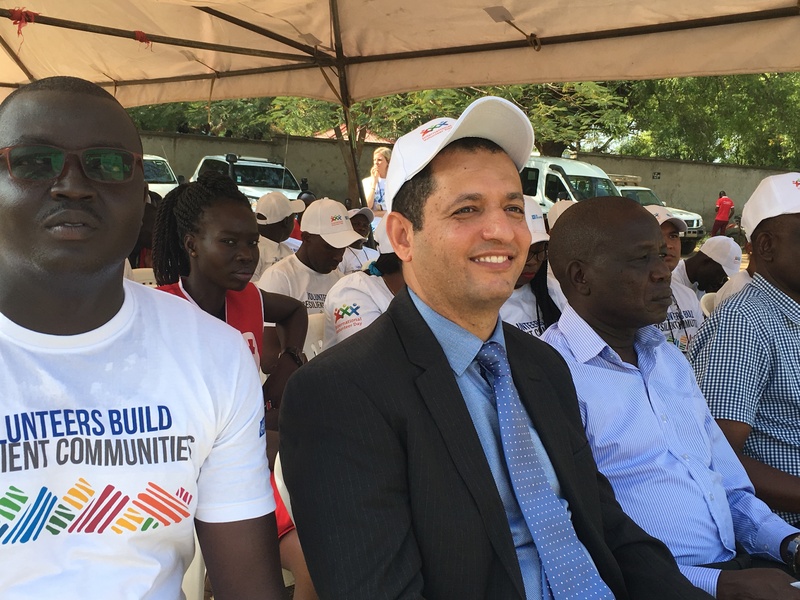 “Here in South Sudan we have over 500 international and national volunteers, and this is one of the largest programmes in the world,” says Waheeb Al-Eryani, Programme Manager at the UN Volunteers office in South Sudan. “UN volunteers work in many different fields: they support UN agencies in their work, whether it’s humanitarian relief, development, or peacekeeping; they’re everywhere, and they’re almost the backbone of all UN operations here, because they represent a very important component of the personnel in different UN organisations,” he says, adding that the day presents an opportunity for volunteers to celebrate, and for the people working with them to recognize the importance of their work. UN Secretary-General António Guterres has done just that, saying volunteers are often the first to act in moments of crisis. “They create social bonds and give a voice to marginalized and vulnerable groups,” reads his message to mark this year’s Volunteers Day. “And as the theme of this year’s observance highlights, they help build resilient communities, equipping people against natural disasters, political instability, economic shocks and other pressures,” concludes the UN chief’s message.